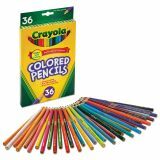 Crayola Long Barrel Colored Woodcase Pencils, 3.3 mm, 24 Assorted Colors/Set - Full-length pencils with thick 3.3mm leads provide hours of break-free drawing. 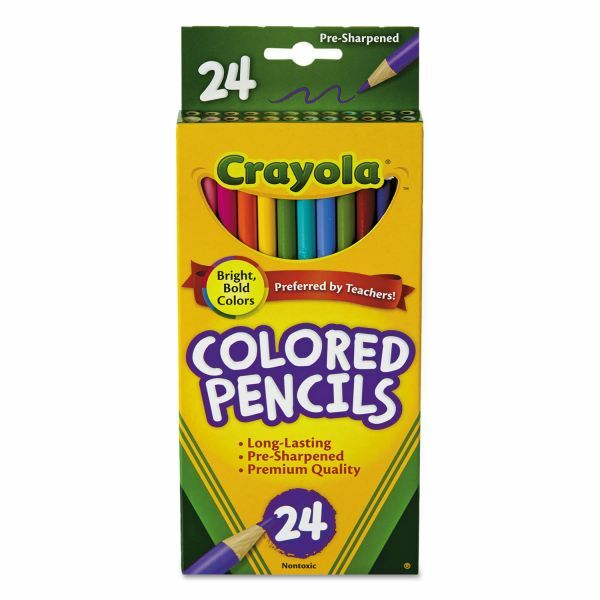 Lay down smooth, nonscratch colors. 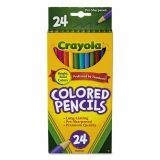 Presharpened points stay sharp longer and resharpen easier than most colored pencils. Certified AP nontoxic.